Once again Eudora has done our work for us. 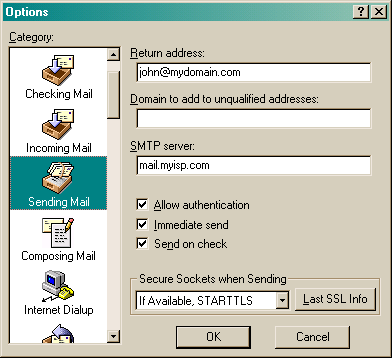 The program should have filled the email address and SMTP server in for you already. Make sure that it did so and then click the "OK" button.